Postcard from…? Cuba and Mexico! To get away from the horrible weather conditions in Germany, I decided to pack my bags for a new adventure. This time I will go to Havana, Cuba and to Mexico for two weeks. As an old tradition, I´m always thrilled to send you some postcards. 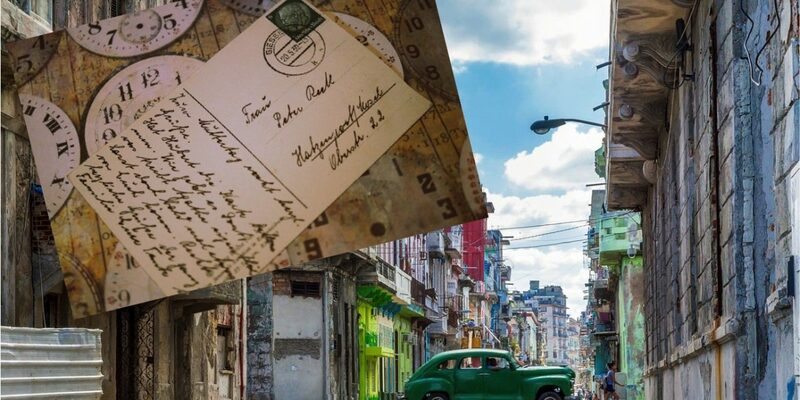 So, if you love to receive a postcard from Cuba or Mexico, please leave a comment under this post. I will message you back asking for your address. Postcards will be send out worldwide. I can´t wait to see in which parts of the world my postcards will put a smile on your face this time! I love your postcards, too! And thank you for the one from Cuba. I’ll forward it to the FBI so they can add it to my file. I’ve spent much tiempo en Mexico. I will surprise you. Imagine a Native American people/culture with an overlay of Arabic/Spanish. Wonderful. And the food! OMG! !